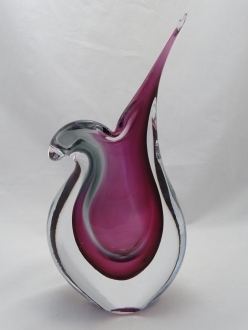 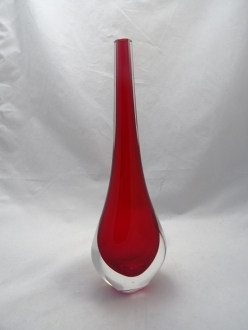 Murano Glass Vase Gray/Ruby - Murano Glass - Murano Glass Gifts Co.
the Sommerso Venetian glass vases worldwide popularity. 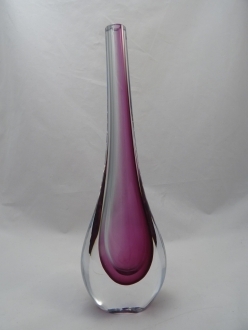 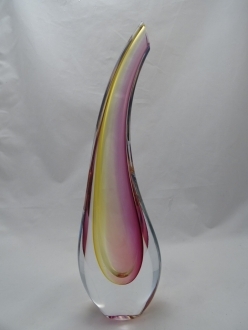 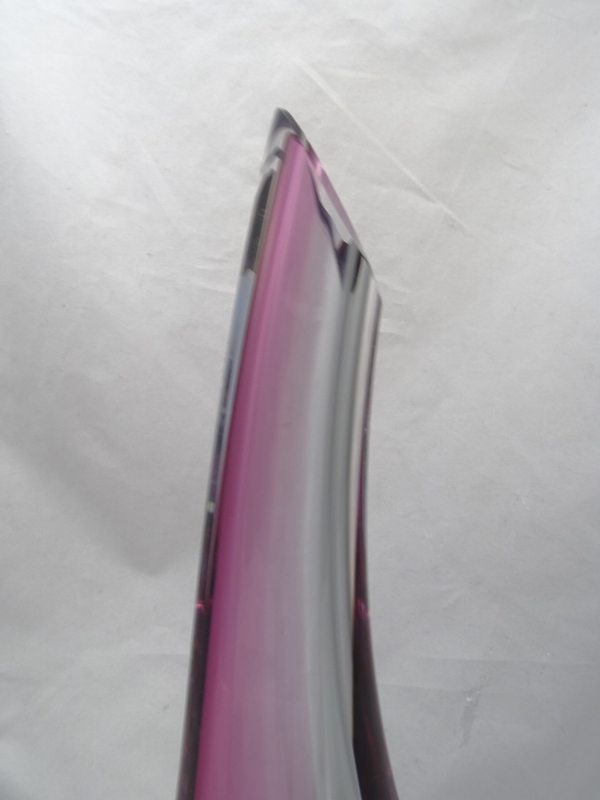 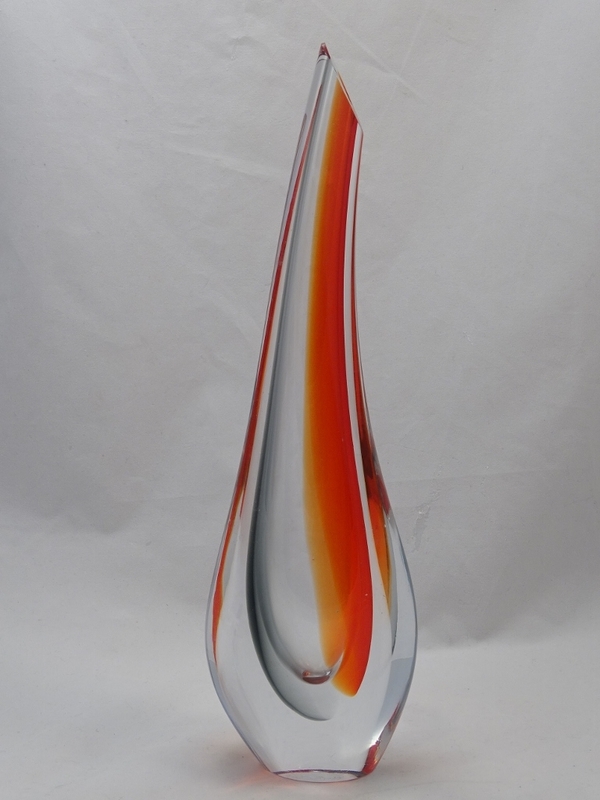 This Murano glass vase displays a pink and grey inner vase is covered by crystal clear white glass layer. 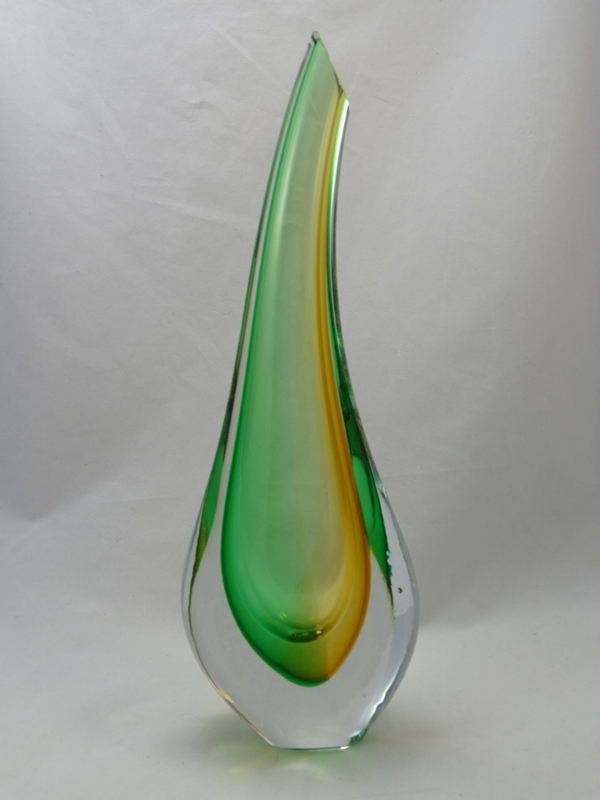 The outer layer is so thick that it gives the vase great stability. 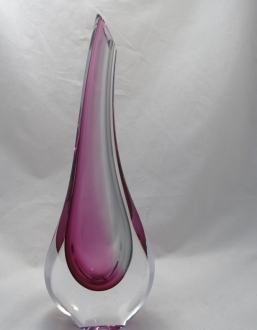 and the mouth is slightly slanting. 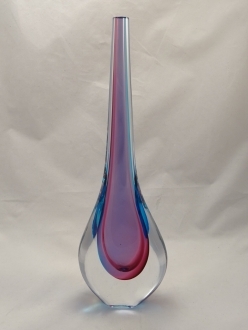 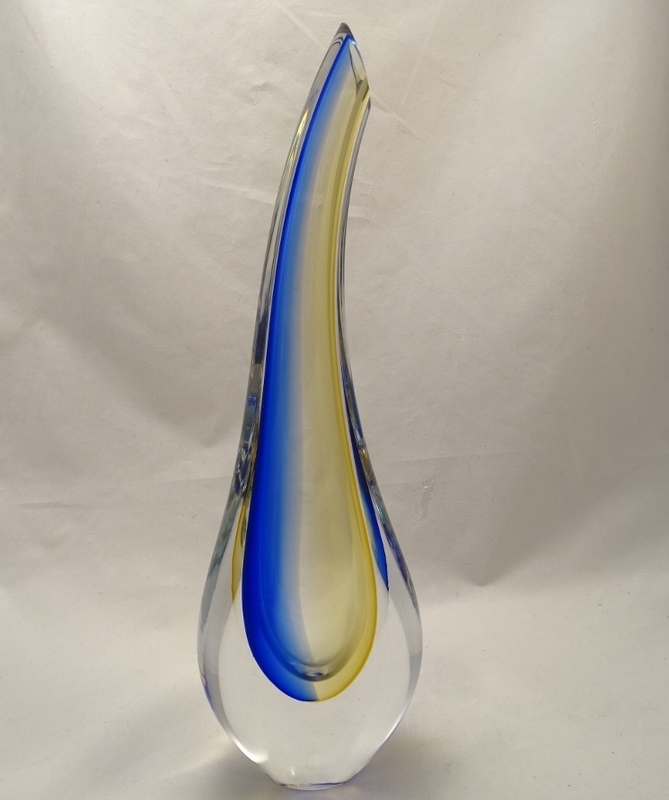 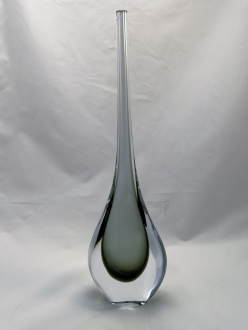 This is a fabulous 14” tall décor item. 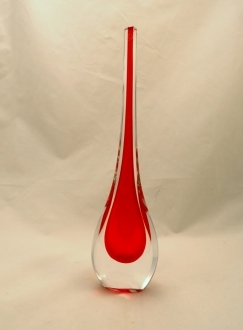 Besides it can be used as a gift article also.